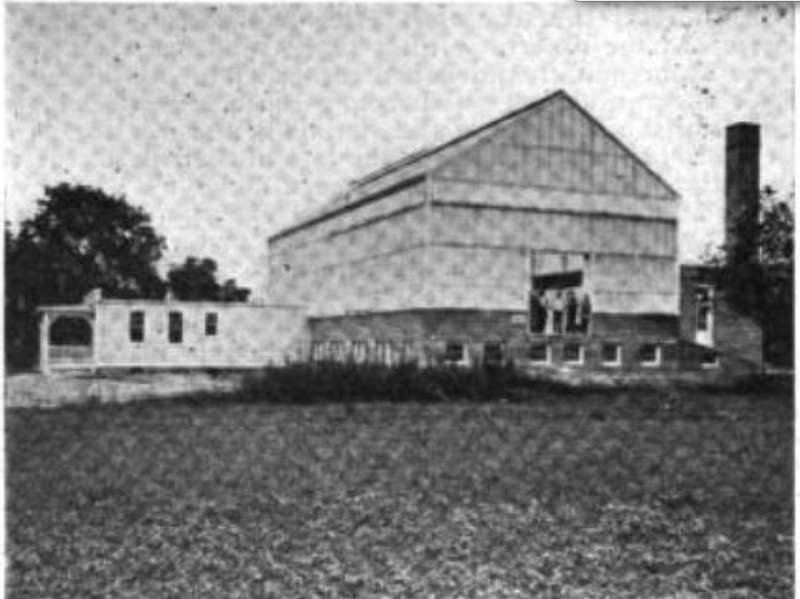 This image of the United States Motion Picture Corporation’s studio in Forty Fort, Pennsylvania was published in Moving Picture World on August 14, 1915. Although the United States Motion Picture Corporation (USMPC) was incorporated in New Jersey on March 2, 1915, the corporation was based in the Wilkes-Barre area. The company’s main office was in downtown Wilkes-Barre and its studios were located across the Susquehanna River in Forty Fort, on Slocum Street near Wyoming Avenue. The USMPC produced films in the Wilkes-Barre area between 1916 and 1920. In 1916 and 1917, before America entered the Great War, they made Black Diamond Comedies. Black Diamond Comedies were one-reel shorts that were filmed in the Wyoming Valley and distributed by Paramount Pictures, which was then based in New York City. These films often star actress Leatrice Joy as “Susie.” Twenty-seven of these films are listed in advertisements, articles, and the film releases pages of Moving Picture World. The USMPC resumed film production of their comedies after the Great War; in 1918 they released “Rainbow Comedies,” one-reel films starring Lillian Vera and Eddie Boulden that were distributed by the General Film Company in 1918 and 1919. At least one of the films made by the USMPC called “Unique Comedies” and distributed by the Arrow Film Company of New York, is known as “His Neglected Wife.” This film was recovered in New Zealand in 2010, and it was filmed in Wilkes-Barre and Luzerne. features many of the same actors as other Black Diamond Comedies including Leatrice Joy and Carl Dally. After USMPC ended operations, Serico took over the Forty First studio to make the serial “A Woman in Grey,” starring Arline Pretty. This serial was released in 15 one-reel parts.